The electric car. Is it good or bad Karma? – Len Bilén's blog, a blog about faith, politics and the environment. 116 years later, how far have we come in battery development? Most electricity is produced by burning coal. Much peak electricity is produced by burning natural gas. We have recently discovered large quantities of shale deposits. One of the chief developer of the North Dakota deposits is Mr. Hamm, CEO of Continental Resources, who at one time had a brief talk with President Obama. Mr. Hamm told Obama of the revolution in the oil and gas industry and how we have the capacity to produce enough oil to enable America to replace OPEC. He wanted to make sure that the President knew about this. 116 years after the Roberts electric car we have the 2012 Chevrolet Volt. It gets 36 miles to the charge. But it is not over yet. 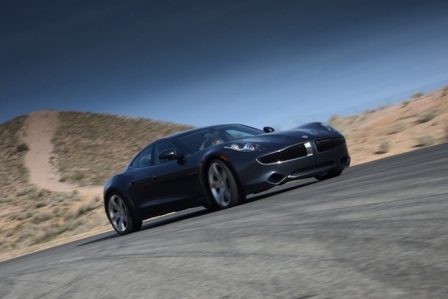 The latest entry in the electric car business is the Fisker Karma. It sports 32 miles to the charge. When running on electricity, the claim is it gets the equivalent of 54 miles per gallon. After that it has a regular sports car engine that gives 20 MPG. What does that last statement mean? Batteries store energy and can never be more than 100% efficient. There is a loss of energy when you charge them and a loss of energy when you discharge them. The energy is typically produced by burning coal. By charging batteries you need to keep old coal burning plants in production longer. The average energy efficiency of an aging coal plant is 31%, the transmission losses are about 8% and battery efficiency is about 75%. When electric car companies calculate MPG equivalency they only take into account the battery efficiency. For the Karma the total energy efficiency equivalence would not be 56 MPG, but 16 MPG. For now the Karma will be built in Finland, with a half billion dollar loan guarantee from the Federal Government. After one year this energy guzzler is supposed to be built in Delaware. 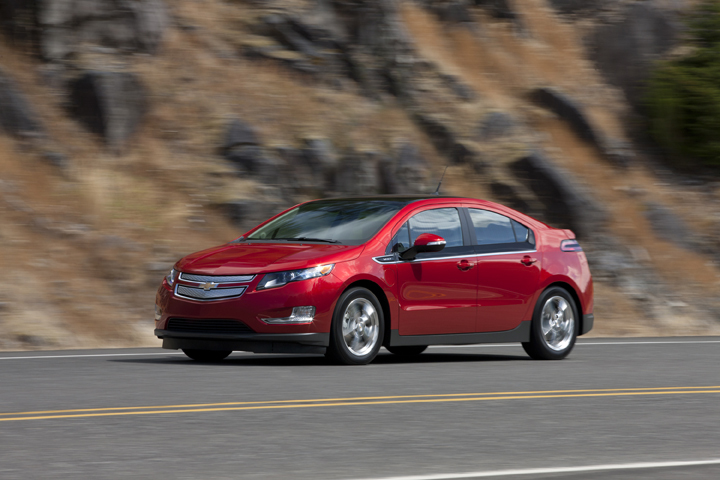 Maybe it will be as popular as the Chevy Volt, which is on track to sell 6000 vehicles this year. There already exists a car that claim 135 miles per gallon equivalent fuel consumption. 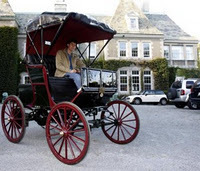 The car is Tesla, a new car company set up privately in 2003. It got a 465 million dollar Federal loan guarantee in 2009, but has yet to turn a profit. The car is all electric, and gets up to 300 miles to a charge. It can be yours for a mere $109500 plus taxes, but you will get a 7500 dollar federal tax rebate unless you live in Colorado where you will get an additional 40000 dollars in state and local tax rebate. The car is sold to rich playboys, who use it as the ultimate chick attractor, and the making of the car is financed on borrowed money. 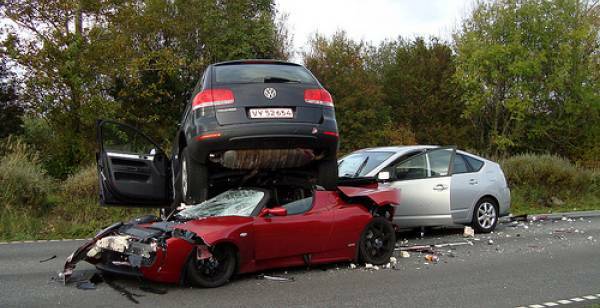 If one is to include the losses in producing the 4000 cars sold thus far, the cost per car approaches 200000. But fear not. One of the sources of income for Tesla is the sale of zero emission credits to other car companies so they can meet their emission standards. It is the new round of charlatans selling indulgences so the global governance can be realized. Why am I down on electric cars? First, the energy to drive the car must have been produced somehow. As long as we use coal to produce electricity there will be more CO2 in the air with electric cars than with diesel powered cars. Second, electric cars are heavier than corresponding gasoline powered cars and have less room. Third, it takes an awful lot of mining to produce all the rare materials that goes into a modern battery. This too takes a lot of energy and leaves scars on the landscape. Fourth, batteries last only so long and are expensive leading to a much more expensive car to purchase and maintain. Are we doomed? Not at all. As oil and gas is becoming more and more expensive, especially if the Middle East cuts off its supply, we should build up the nuclear power plants, not with old Uranium based nuclear plants with all their nuclear waste, but with small, distributed thorium based plants. They have 0.01% as much nuclear waste as uranium based plants and are earthquake safe and much less vulnerable to sabotage. They also respond much better to demand fluctuations. As the plants would be more distributed it would lessen the need for an expanded electric grid, which is unbelievably vulnerable to sabotage. The long and short of it: Go Thorium and then Electric cars! Posted on February 3, 2012 February 3, 2012 Author lenbilenCategories CO2, energy, environment, politics, regulations, thoriumTags CO2, electric cars, electric power, environment, Thorium. Previous Previous post: What is worse, Romney and cult or Hillary and occult? A Limerick. Next Next post: A Climate skeptic’s epiphany response.